New landmark art gallery ‘Art House’ will place art at the centre of new creative workspace in the heart of Clerkenwell. 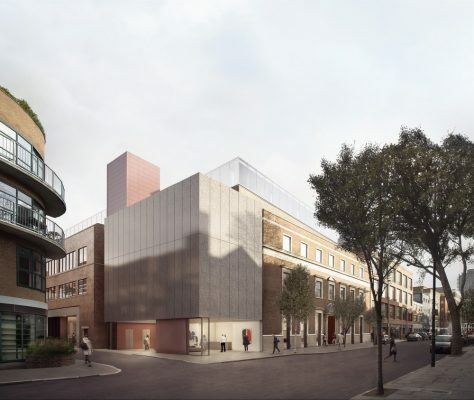 BuckleyGrayYeoman has submitted a planning application to convert a former printworks and gin distillery in Clerkenwell into a new art-led creative hub on behalf of General Projects and Northern & Midland Holdings. 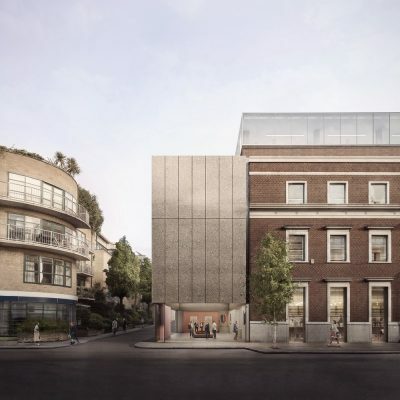 The project for the building currently known as Laser House will create a landmark new gallery, Art House, alongside 78,000 sq ft of offices aimed at the creative industries and retail at 132-140 Goswell Road in Clerkenwell. BuckleyGrayYeoman’s design proposes a dramatic re-imagination of the existing 1960’s building. 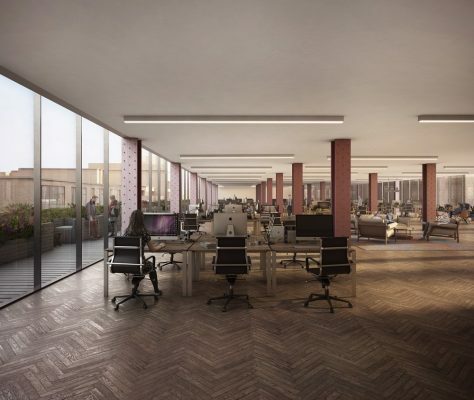 The outdated office provision on the 0.2ha site at Laser house will provide modern offices and retail space, with activated street frontages along Pear Tree Lane and Goswell Road. When complete, the scheme will accommodate workspace for more than 800 people. 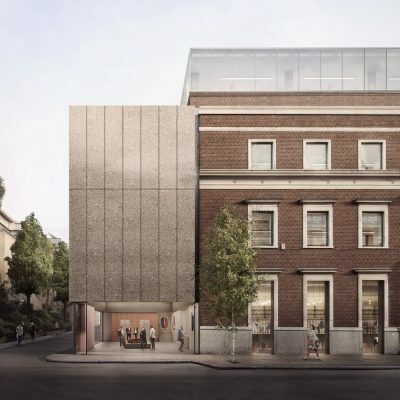 The striking new Art House gallery space will be built on an area of land between the two existing buildings. 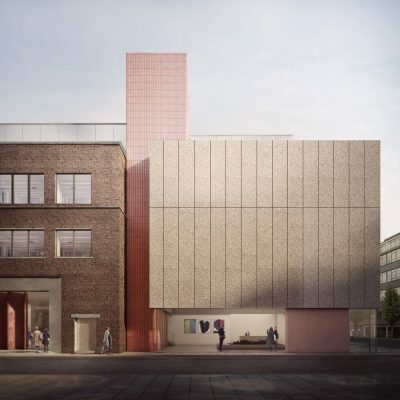 In addition to providing a flexible public space for exhibitions, events and other community activities, the Art House will help to stitch the two existing blocks together and will create a strong focal point and clear entrance to the development. The gallery space will restore the animation, vitality and public use of this important corner, which had been occupied by a public house until the 1960’s. 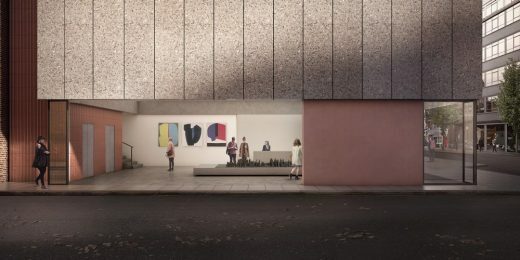 The two-storey Art House will take the form of a box of polished precast concrete panels that appears to float above the new entrance space, rising 11 metres in height. The polished concrete panels will be complemented by the new lift core’s red glazed ceramic ribbed tiles. 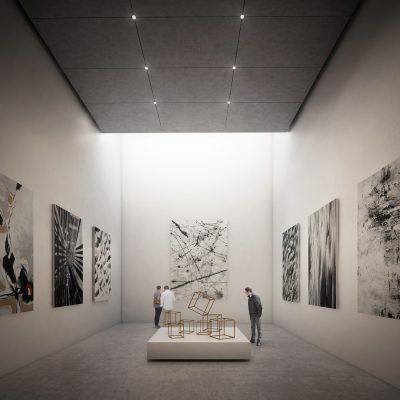 The space itself will comprise of three distinct areas: an open ‘Lower Gallery’ at ground floor level with exhibition space and entrance lobby; a double height gallery and community space in the middle; and a garden space on the roof. The open space beneath the Art House will double as the building entrance as well as a publicly accessible foyer. The existing loading bays fronting Pear Tree Street will be converted into modern commercial office space with new full-height glazed shopfronts added. The ground and lower-ground floors facing onto Goswell Road will be transformed into a flexible commercial unit of 6,350 sq ft. The existing façade will be retained and refurbished with the ground floor window openings to be lowered to street level to provide full-height glazing and allow for natural light to penetrate the lower-ground floor levels. The project is expected to start on site at the end of 2017, with completion by 2019.